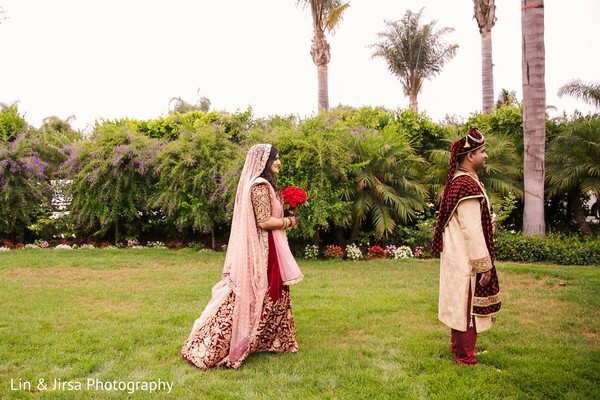 I can just hear the harmonious beats of Ronobir Lahiri Music wafting through Southern California with Nicki and Ravishankar's featured Indian wedding. 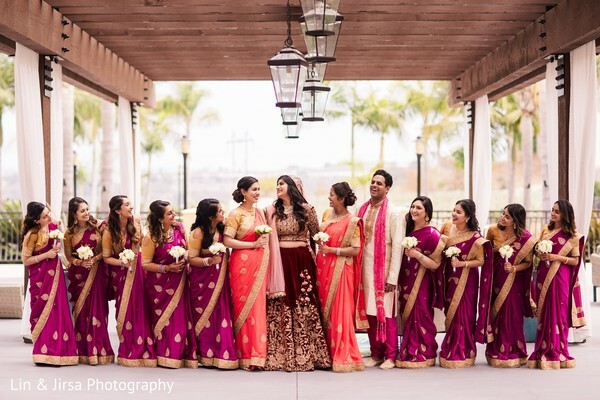 This incredible Indian wedding features an all-star vendor team, stunning bridal wear (hello, Bridal by Nisha!) and opulent décor. 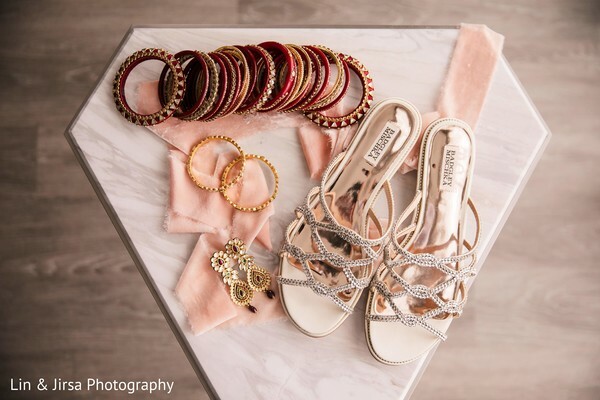 Truly what makes it a Maharani wedding! 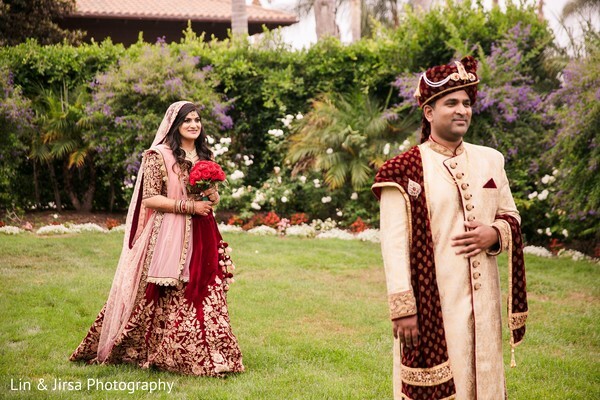 The bride completed her Indian wedding trousseau with the intricate mehndi work designed by Henna San Diego. Most certainly ready for her first look, I can just tell the excitement was buzzing in the air! 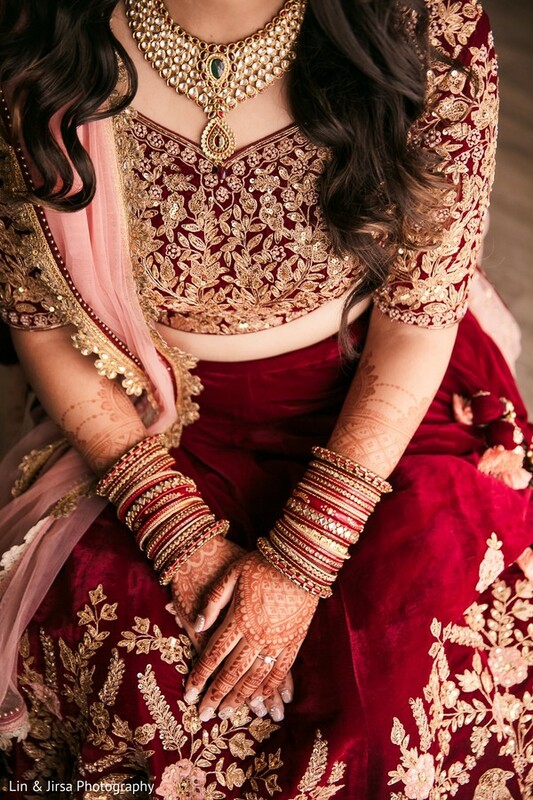 If there is one piece of advice I can give with the current Indian weddings trends is for brides to be selfish with their makeup artists! 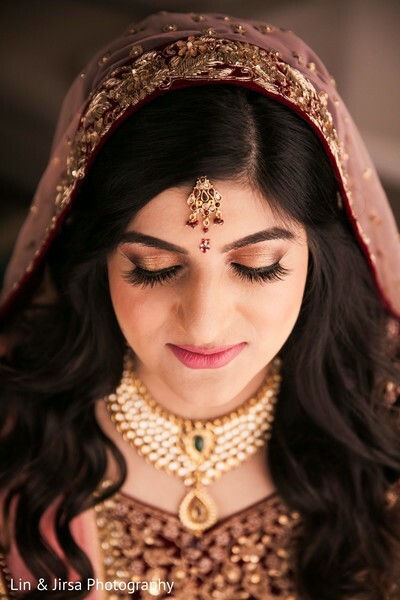 Ensuring your bridal team knows your vision is a dream come true for any bride and finding the perfect makeup artist is a challenge in itself. Drea V Makeup knocked it out of the park. 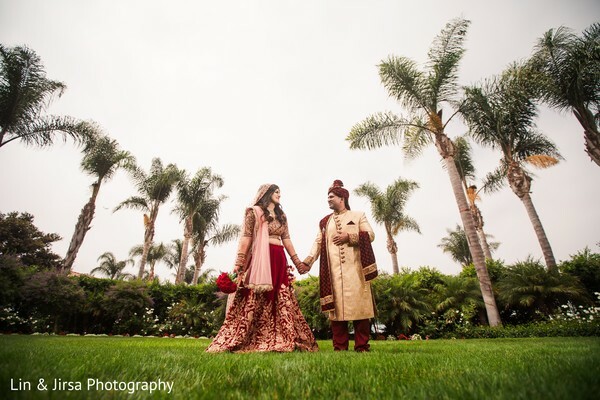 Coming up I have my favorite highlights of the various events and with Enchanted Carriages and Mantra Indian Cuisine on the forefront, get ready to start pinning! 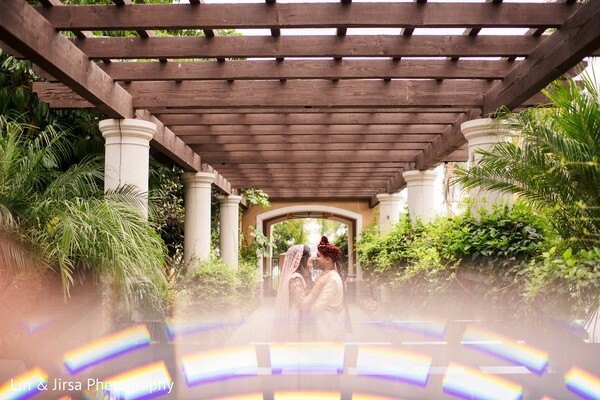 Lin & Jirsa Photography has all the precious moments in our gallery. I think it takes a year (or so), a village, and a lot of patience. 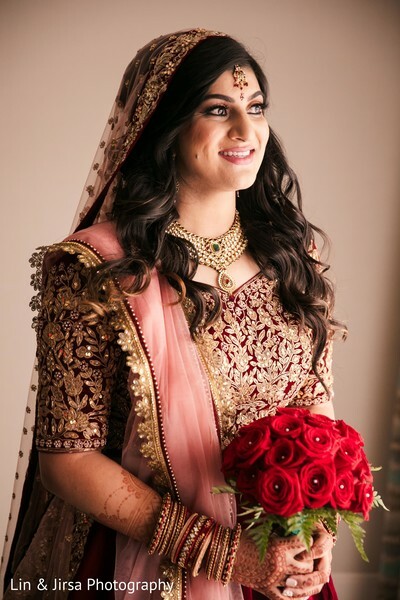 Social media can be helpful for finding people, but also terrible with constant comparison to other weddings which may look great, but may be significantly out of budget! For the venue, I fell in love with multiple places around San Diego but did not want to have a different hotel or site for events without adjacent hotel rooms. If this is also important to you, do not settle for anything less! I loved having everything all in one place! 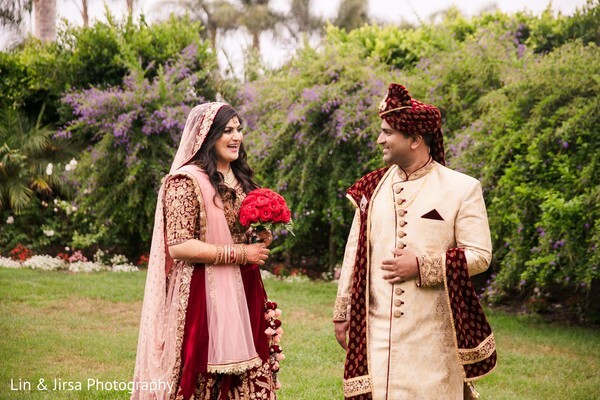 Many venues are now more open to Indian weddings so I felt we had plenty to choose from. I was lucky to get married on my dream date, 8.18.18, which was a rare find! I was a busy 3rd-year resident while planning my wedding, and was planning a west coast wedding from the east coast, and to avoid getting overwhelmed I scheduled one thing per week to book/research. I had the venue sorted by June, most main vendors done by November. I went to India in January for 5 days and then afterward took a break with planning until around April after I took a big board exam. We then focused for the most part from April to August, and everything worked out great! I think that break was a great way to not get burnt out from the wedding planning process. We had the sitar player, Ronobir Lahiri, playing during our happy hour and guests LOVED this! For those who don't know him, he plays English and Indian songs by sitar - Youtube him! When doing my research, I loved Ronobir's music so much and knew we wouldn't really be part of the cocktail hour, so also had him play for an hour during dinner service, which was great since I also got to listen to it. Again, guests were OBSESSED! The food from Mantra catering was also spectacular on both days - all the fusion, traditional food, and desserts were amazing! When I was told the wedding ceremony had ended THIRTY MINUTES EARLY!!!! I was SO happy! We did group photos on the mandap (this was going to be cut if we had run late) and I even got extra photos with my bridesmaids too. For my Type A personality, this made me extremely happy! Come back to all the events coming right up for inspiration!